Joan Spellman Estate Auction — Harritt Group, Inc.
Charming 1940’s four bedroom cottage with garage & workshop just minutes to schools, shopping and expressway located off Providence Way near Lewis & Clark Parkway. 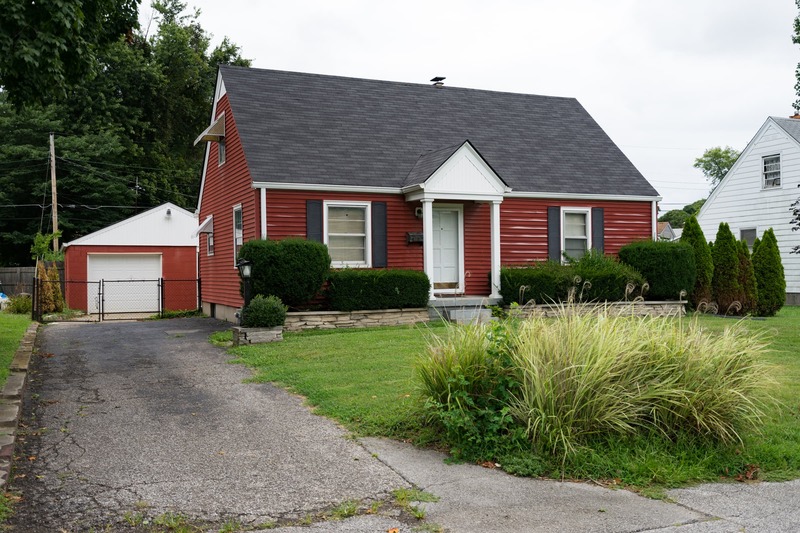 Spacious 1336 square foot 4 bedroom – 1 bath cottage plus unfinished basement and detached garage on 65’ x 121’ lot located near schools, shopping and expressway off Providence Way near Lewis & Clark Parkway. Home built in 1948 features equipped kitchen, living room, family room with fireplace, tile bath, hardwood floors, 2 bedrooms on first floor plus 2 additional bedrooms up. Detached one-car garage with separate workshop and entrance plus pergola on fenced lot conveniently located just minutes to downtown. A great buying opportunity! I-65 to Exit #4 Hwy. 31/Lewis & Clark Parkway. West 1.7 miles to right on Providence Way to right on Victory Court.